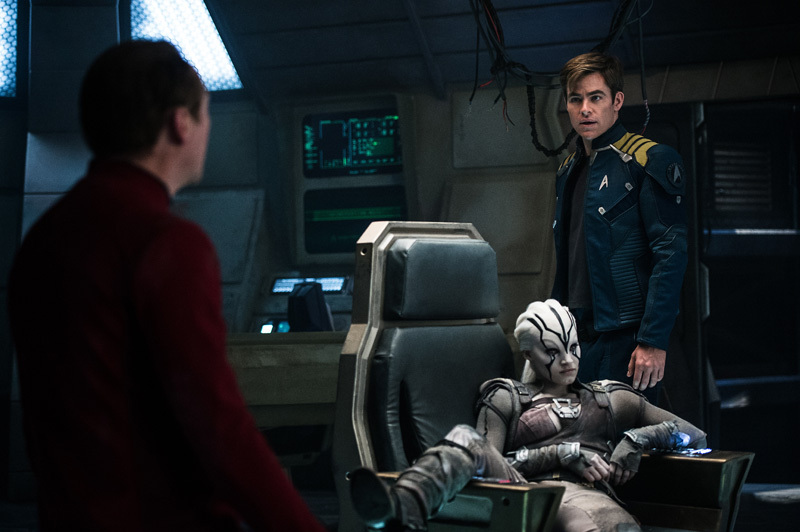 The Wertzone: Gratuitous Lists: All 13 STAR TREK movies...ranked! Excellent ranking! Probably what I would do myself, or very very close at the least. Without question Star Trek the Motion Picture was easily the most unwatchable film in the series. Honestly, I have been watching it for fifty years and I never expect to see cutting edge science fiction or great social commentary. I expect character-driven space opera and this movie delivered big-time. Also, Chris Pine has really nailed the Kirk thing, proving he wasn't woefully miscast in the first movie where he was almost ten years younger than we ever saw Shatnir's Kirk. Character driven space opera and the first trek movie in a long time that made me want to watch it more than once. And yes, you really question Pine's "kirkiness" up until that last scene when he sits in the chair and totally channels Shatnir. Amazing. Yes, it had some problems but then, all the remaining movies had worse problems. Got to love the dreadnaught class finally making its appearance from the non-canon StarFleet Battles game. Fun but a little too melancholy with everything winding down. A really great movie up until they beamed down to old-time Earth, after that the only good parts were onboard the ship (but they were pretty good). What about wimpifying the Borg? 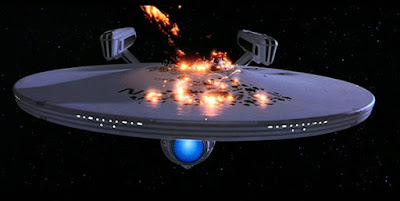 They beat ONE Borg ship on a suicide run because it was distracted, up against the entire fleet, and that fleet was commanded by Picard who still retained intimate knowledge of Borg design. Should have broken the budget and gotten the whole crew, shouldn't have spent the last half hour of the movie climbing over rocks in the desert, and, worst, if Kirk is going to die it ought to be by crashing a supernova into an invading Borg fleet or something, not falling off a portable walking bridge in the desert. I seem to recall Picard singing Pirates of Penzance to Data and long walks with refugees in the wilderness? Damns itself by being too meh. The rest of this list turn actively bad. 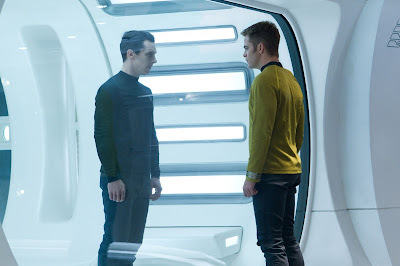 Cheap sets, dubious science even for space opera, killing off the blue lagoon kid for no real reason except that they seem to have decided he was a liability, and way, way too much time watching young Spock sweat as people are running around rocks and volcanoes. Extreme boredom. Really, really, extreme boredom. They didn't even start with a fresh idea but just recycled a 60's television show. Zero rewatchability. In fact, I wish I had the time back for watching it once. 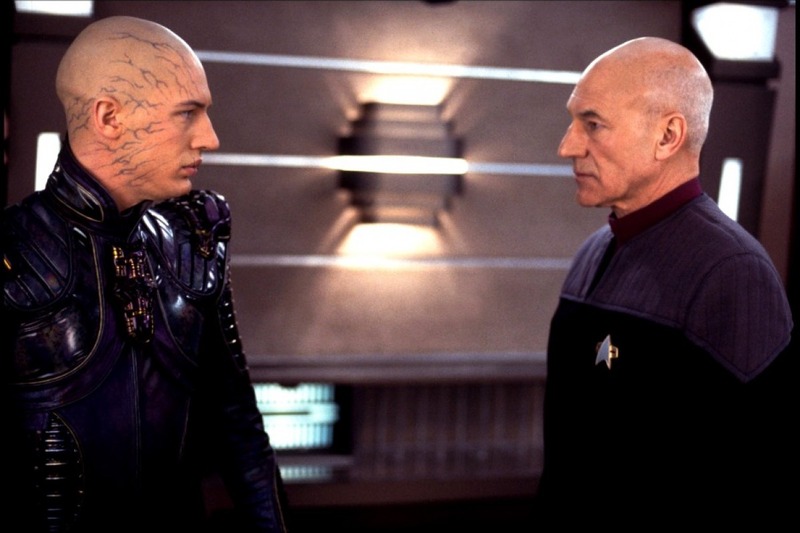 Caters way too much to Picard's desire to do 'serious' drama. Kirk versus God. The franchise had jumped the shark and there was nothing else there to even mitigate that. Oh, and I have 14, not 13, because everyone forgets about that one that ought to be number 5. Apparently even me. Yeah, not understanding the hate on the new Star Trek movies. I know there are some silly deviations from science in these movies, but at the end of the day movies are meant to be entertaining, and on that front they work for me. 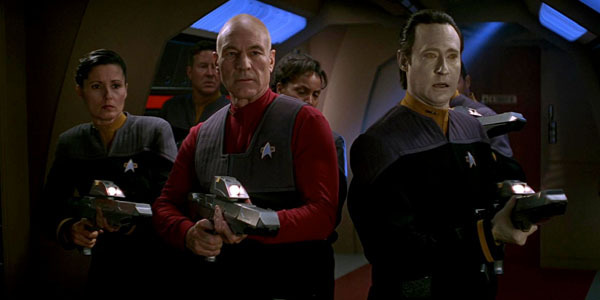 Also, every Star Trek fan should respect the fact that the actors really didn't take liberties to their characters. They are pretty faithful to the original cast members vision of them. I like this list, but I usually rank 'The Motion Picture' much further down. It's slow and boring: It came out in 1979, and instead of emulating a more exiting Star Wars (1977), 2001: A Space Odyssey with it's crazy ten minute long random light shows. It introduced a character that tried to be more Spocky than Spock, a human computer that couldn't shake sexual harassment from the ship's captain slash ex. And finally, the main plot was a bad remake of a previous Star Trek story, 'The Changeling', with V'ger replacing Nomad. 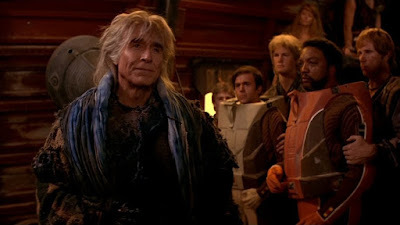 Part of the reason that Wrath of Khan is tops (for me) is that it was a direct continuation of the TOS episode 'Space Seed', and I appreciate the continuity. I always liked 'The Changeling', and didn't like that it was basically overwritten. These lists are entirely subjective, so I wouldn't normally quibble, except.... You can't seriously believe that Insurrection is better than Nemesis -- can you? Been reading your blog for years, and always enjoy reading your lists. Many magazines/blogs/etc have lists like this, and many times Start Trek is the topic. But as a true lover of Trek, those lists are so easily dismissed because I always feel they are tossed off to an intern or an idea pulled out of mothballs to increase page views. So it's refreshing to read the thoughts on Trek by someone who has a depth of knowledge about SF/F. Thus, I almost completely agree with your list. An exception is Undiscovered Country, a movie that should tick all of my boxes but ends up leaving me cold. I'd still only move it back to 4th because it does have real quality. 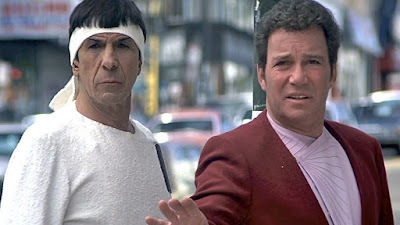 I'm also happy that you placed TMP so high- I understand why people dislike it, and it is surely flawed, but it is filled with Moments that stand out (The whole Kholinar concept and Spock's subsequent shift to embrace his humanity- which changed Nimoy's performance going forward! 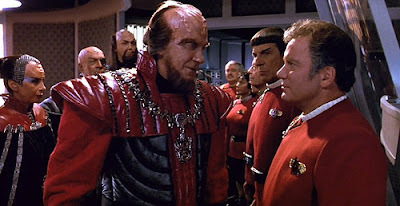 ), and I'll always prefer my Star Trek focusing on some Big Idea- even if it is ultimately a failure, it's a noble one. Which is why the Reboot films have left me indifferent. What's the Big Idea there?